Curly girls, you know how important it is to seal the moisture into your tresses. If not, the hair can become dry and prone to breakage. The best sealant you can use to lock in the moisture is a natural oil. Butters are also high up on the list, but for now, I’m going to focus on oils only. So I’ve compiled a list of my favourite oils that have been working wonders on my strands. And yes, this list is in order of preference. I have a love affair with coconut oil, specifically evco (extra virgin coconut oil) – it’s that great for my hair. I use it to seal in moisture, to pre-poo, as well as to deep condition. Oh, and then I also use it on my skin during the dry Japanese winter. All in all, I feel like coconut oil has actually saved my life these last few cold months. That’s how much I love it. And as if the reasons above aren’t enough, here are a few more to get you excited. Using coconut oil on the hair and scalp can promote hair growth, reduce breakage and strengthen the hair shaft. It contains saturated fatty acids and Vitamin E which is great for the hair. It adds amazing shine to the hair. It can improve a dry scalp, and hair loss. It’s light and non-greasy, and can actually penetrate the hair shaft. Second on my list of favourite oils is olive oil. I don’t always like to use it as a sealant though as sometimes I’m a little bit put off by the smell of it directly on my hair. Nevertheless here is a list of why evoo (extra virgin olive oil) rocks my world. Olive oil works great as a hot oil treatment. It’s amazing for soothing dry scalp and dandruff. It’s a really good cheap oil for sealing in moisture. It protects the keratin in hair which increases shine and strength. It penetrates the hair strands by 25% with moisture. Avocado oil is a little heavier than olive and coconut oil, but I decided to include it in my regime by adding it to my whipped shea butter for maximum moisture retention over the winter months. So I’ve only been using it for about 2 months, but I love its effects in my home-made butter. Here are the reasons why. It contains Vitamins A and D, protein, copper, magnesium and amino acids, which are all essential for hair health, strength and growth. It makes for a great deep treatment when mixed with your favourite conditioner. Almond oil seals in moisture. It smooths the cuticles and promotes hair growth. Your hair needs – For example, if you have really thick, tightly coiled hair your strands might benefit more from a heavier oil, such as avocado or castor oil. Or if you have looser curls, evco might be all your need. Budget – When I first started looking for oils to use as sealants I bought argan oil, but only once because I just found it too pricey. After I started using it and considered how quickly I was moving through the little bottle, I knew I would have to find an alternative. Availability – I love evco, but I can’t find it here in Tokyo, so I shop for it online. Or when I have the opportunity to travel abroad, I just buy it in bulk and bring it back with me. However, if you are reading this in Japan, it is possible to find coconut oil at Loft, my favourite department store. It’s just not the extra virgin kind. It might require a bit of experimenting in finding the right oil that works for you, especially if you’ve just recently returned to natural. That’s okay, it’s your hair. All our hair is different and what might work for one person won’t necessarily work for another. They key is just to enjoy and love your curls. Which oil do you use to seal in moisture, and how is it working for you? 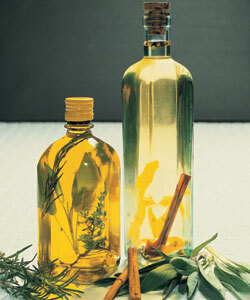 I adore coconut and almond oil they are definitely my staple oils. Almond oil was one of my first natural oil discoveries, before then i never thought my hair could feel so soft. I took a while to figure out how my hair responded to coconut, now i love it, it really adds elasticity for me. Thanks for sharing!